2 Q:May I have my own logo or design for the products9 A:Yes, w e have an professional design team, which can meet any customized requirements. 3. Q:what is the shipment method and exact time of arrival9 A:25~30 days by sea, 7-10 days by air, 5-7 days by express(such as FEDEX, DHL, TNT, UPS etc. 5. Q :How to order9 A: Choose your favorate items and size, then we'll make PI for you ,then you deposite 30% amount to us,we'll produce for you. Q:Can I put on my pictures/logo on9 A:Yes,you send us pictures/logo in AI or CAD,we will check for you printing method before production. Q:Can you make my new designs9 A:Yes,tell us your ideas,a picture that you like or your design drawing,we will manufacture them as your requested. 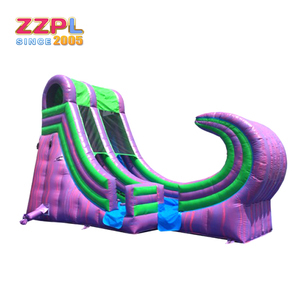 Q:How long can you send out my inflatables9 A:Normally,production takes 10-15 work days,it depends on order specifications. the whole process of manufacturing will be paid more attention by us in order to guarantee the quality. 4), Your questions and complaint will be taken seriously, what's more, we will try our best to deal with within 24 hours. Q2: How to prove these products are made by ANKA 9 Key : We can provide the initial, real and explicit pictures and information about them. You can use stakes to secure the inflatables when placed on a lawn or use sand bags when setting up on other solid surfaces. After the printing is done, our workers will make protective coating on the surface of printing. Once we finish your order, we will take some digital pictures and send them to you to check the items. Q3. Do you offer free shipping9 A:We are sorry that we do not offer free shipping. Q4. Do you offer free sample9 A: If send our stock product is free. Q7. What color can you choose9 A: According to the color card we provide. We will choose the suitable printing method to do the printing for clients. Clients also can assign the printing method as you like. 3. We can supply the products according to your ideas. 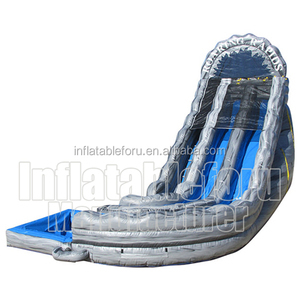 Alibaba.com offers 207 wild rapids water slides products. 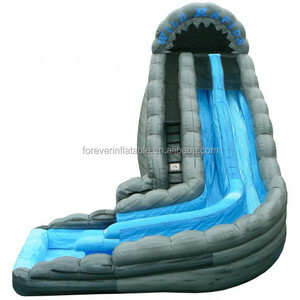 About 23% of these are slides, 20% are inflatable bouncer, and 4% are water play equipment. 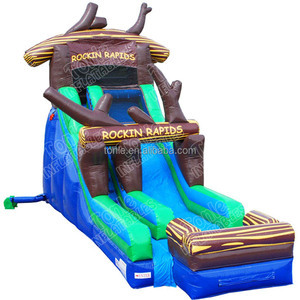 A wide variety of wild rapids water slides options are available to you, such as pvc, vinyl. 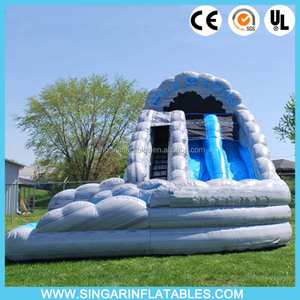 You can also choose from slide, castle. 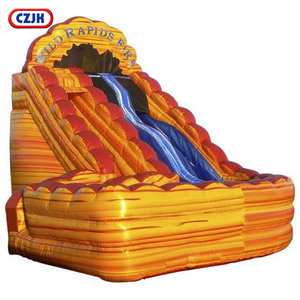 There are 127 wild rapids water slides suppliers, mainly located in Asia. 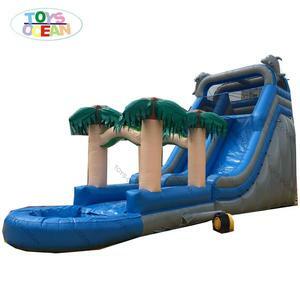 The top supplying country is China (Mainland), which supply 100% of wild rapids water slides respectively. 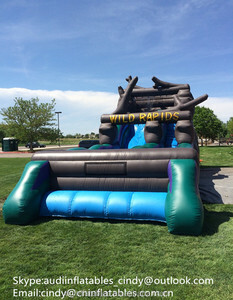 Wild rapids water slides products are most popular in North America, Oceania, and South America. You can ensure product safety by selecting from certified suppliers, including 16 with Other, 15 with ISO9001, and 6 with ISO14001 certification.